You’ve probably been seeing #Hashtags in every single place at the present time. Twitter, Google+, Instagram, Pinterest, and lots of different social websites use hashtags to create ”on the spot” connections with other users. When one more consumer makes use of hashtags to find a special phrase, they are going to see all posts containing that hashtagged phrase. In a bit, I’ll show you how to use hashtag on Twitter. Utilizing Hashtags With Tweets is now a very common trend in vogue in the word of social media networks. The universe of Twitter is vast and can be a little complicated to navigate. 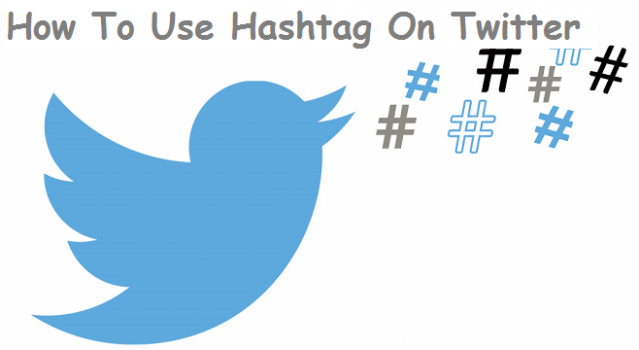 Hashtags are one of the most important and efficient ways of organizing know-how on Twitter. Someone can make a hashtag at any time, easily through typing a phrase of the form #topic in a tweet. For illustration, in the event you have been tweeting about studying this article, you could say “studying #techrecipes article on utilizing #hashtags with #twitter.” Then, anyone browsing for #techrecipes, #hashtags, or #twitter would see your tweet. After a hashtag has been created, different Twitter users can use that hashtag in their own tweets so as to add to the larger dialog about that topic. Hashtags can be as general (#techrecipes ) or (#HowToUseHashtagsOnTwitter) as desired. They’re an entirely natural and organic form of organization, created and managed by Twitter users, no longer Twitter itself. 2. Create your own hashtag. The form for doing this is precisely the identical as for including an already existing hashtag. Comfortably input a phrase of the form “#topic” don’t put any spaces within the phrase that you need to change into a hashtag, due to the fact that hashtag begins with the “#” and ends with the first space. When you click “Tweet” your new tweet will appear on your record of tweets, and the hashtag you created will show up in blue. Scroll over it and click on it to be redirected to the page for the hashtag. If you have probably created a new hashtag, your tweet will have to be the one on the page. Now, at any time when someone includes your hashtag in a tweet, it will be delivered to the page. 3. Including an existing hashtag on your tweet. You can do this by typing a phrase of the form #subject within your tweet. After you click “Tweet” your tweet will show up in your list of tweets with the hashtag in blue form. Scroll over the hashtag and click on it to head to the web page for that hashtag. Your tweet will now show up when other users visit the hashtag page. When you want to use a current hashtag, make sure that your spelling is correct and that there aren’t any areas between the phrases you wish to include in the hashtag. Capitalization, however, doesn’t matter anymore. Therefore “#techrecipes #techRecipes and #TechRecipes will all produce the equal outcome. When utilizing hashtags, observe hashtag etiquette. Twitter’s first-class practices advocate you not to use more than two hashtags within the tweet, considering the fact that this can dilute their usefulness for other customers, and make it a royal ache in the eyeballs to read. Fully grasp the needs of exceptional hashtags. Some are definitely intended to be silly, at the same time others are extra critical. Make sure you observe these variations if you do not want to draw the ire of other Twitter users. Only use hashtags which can be central to the topic you are tweeting about. And that’s basically it on how to use hashtag on Twitter. We’d love it if you click on the share button to share with friends and family. If you find any of the tips difficult, kindly drop a comment, and a techie will revert in no time. Thanks for always stopping by.